Orsini IT has been a trusted solu on provider of technology and related services for over twenty years. We specialize in complex network networking and unified communications. 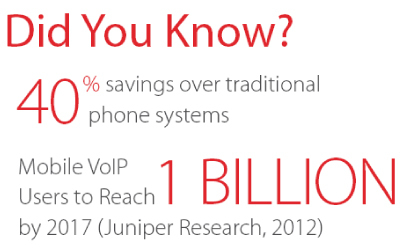 OITVOIP was created out of a need to provide bestâ€inâ€class telephony services to small and mediumâ€sized businesses. The communications industry is undergoing unprecedented technological innovation. Cloud software continues to flip the industry on its head, enabling explosive growth through a business model that allows companies like yours to utlize highâ€value software and services like Hosted PBX and VoIP, SIP Trunking, Unified Communications, and much more. You want reliable, highâ€quality phone systems that simply work. And with your business in a constant state of change, some mes simple suffers. But today, transforming your phone system is simple regardless of your business— whether you have five employees or 500. Get unlimited auto attendants, extensions, and mailboxes— all configured to meet your exact requirements. You’ll be able to utlize an unlimited combination of IP desk phones and so phones, while seamlessly integrating your call flow with your wireless technologies. Unified Communications (UC) is the seamless integra on of voice, presence, chat, data, applications, and other technologies that help drasically improve your communication processes and business productivity. Our software and services enable you to access your account and seamlessly incorporate our highâ€value cloud communication services. Access the information you need (internet connection required). Small to midâ€sized businesses can provide a simplified, service to compete more effectively with the competion. Large groups of workers or customers can collaborate on discussions or share resources, helping to maximize your budget. With the constant change in technology, scalability is huge in today’s business world and with UC, your services can be provided on a perâ€customer basis, cutting down unnecessary costs. Your business can rest easy in a server emergency with the use of UC, where your data can be backedâ€up for rapid recovery. We offer SIP Trunking (virtual phone utilizing broadband access connection) solutions for any sizedâ€business—whether you’re a small business looking for the flexibility and cost savings of VoIP or a midâ€sized business looking for business continuity, disaster recovery, and unlimited or metered calling plans, we help you save up to 40% over traditional telephone lines. Our reliable, featureâ€rich hosted phone services adjust as you need them to. We make it easy for our customers to deploy the communication apps and solutions that your business needs, creating an inâ€office experience right at your fingertips, wherever you are on whichever device you choose. Commonly used features include: full call center capabilities, listen live, find me follow me and more. We’re here to support your business at every level with our alwaysâ€available, personable support team. We’ll help you with your specific needs and concerns, while giving you personalized customer support you won’t find anyâ€ where else. Eliminate operational loss should part of your communications network go down. A recovery plan will help your business save itself! Insure your future by providing your business with the necessary protection, including eâ€mail archiving, data backup and restoration, upgrades, information protection, disaster recovery, and more. With parallel systems put in place in different locations to ensure business continuity even if a natural disaster occurs, we keep you covered. Our products and services are customer tested, and approved—we’ve enabled countless businesses to improve their communication channels easily, and effectively, to transform their business into a competitive powerhouse. With a full range of front and backâ€office features, you can rest easy knowing your business is taken care of, now and for the future.